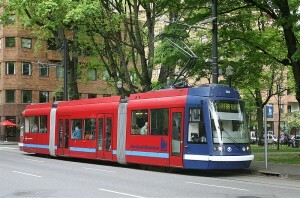 Portland is one of the greenest cities in North America, having started urban renovation projects and investing in public transportation decades earlier than other centers. It is the first city in US to start a comprehensive CO2 emission plan through The City of Portland green building program and their investment in light rail, buses and bike lanes. The city also began to limit sprawl by setting urban growth boundaries as early as 1972. Through the 1990s and 2000s, many urban renewal projects were carried out to renovate the failing downtown Portland. Parking lots, highways and many car-oriented areas, including the old Harbor drive (a series of pedestrian-inaccessible roads along Willamette River) were removed to make place for mixed use neighbourhoods, bike lanes, public areas and urban parks. 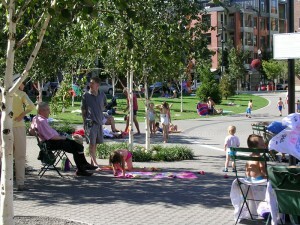 Today the city boasts some of the most attractive parks, public spaces and bike lanes. It always tops the list of most livable cities, greenest cities and most progressive city in any survey. The latest attraction in the city is Food cart Portland, the largest collection of ethnic street food from all over the world!